If you have missed the Wildebeest migration in Masai Mara Kenya, the Wildebeest will travel back to Serengeti by Oct. You may not see the gruesome Mara River crossing but in Jan to Mar we can see the thousands of Wildebeest gathering in the crater to give birth and also sadly the predators preying on the young calves. Most of this actions should happen in Ngorongoro Crater. Imagine Ngorongoro crater where hyper-condensed action happens, bringing all the best in safari to play. Here everything bubbles closer, tighter, and louder. Peer inside this caldera and what you see is a petri dish density of wildlife, more predator-prey interactions per capita than almost anywhere on the planet. 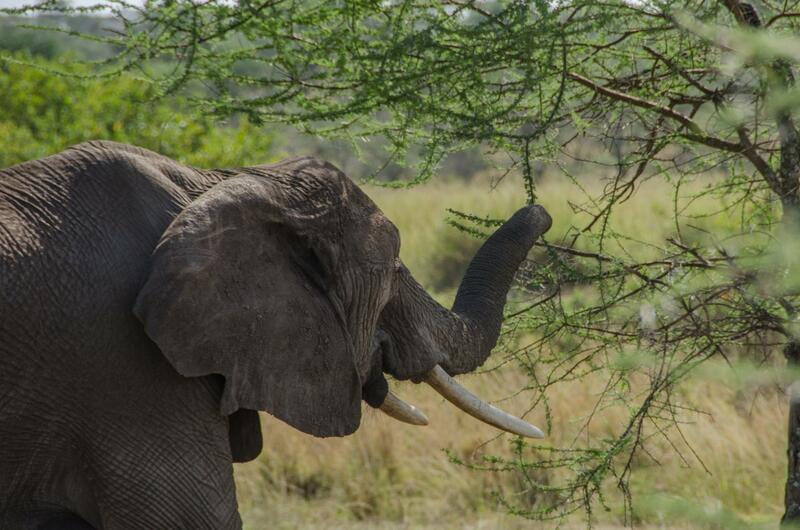 Join me in this spectacular wildlife show in Tanzania. We will start our safari journey to Lake Manyara National Park. 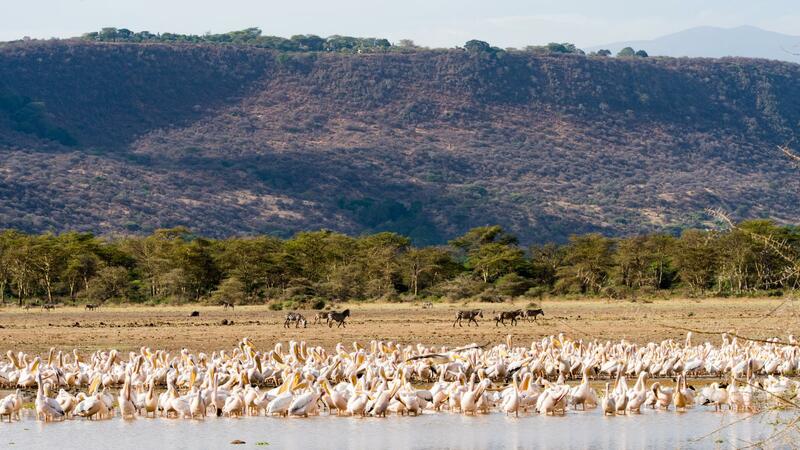 Manyara provides the perfect introduction to Tanzania’s birdlife. More than 400 species have been recorded, And even a first-time visitor to Africa might reasonably expect to observe 100 of these in one day. We possibly can see thousands of pink flamingos on their perpetual migration, as well as other large water birds such as pelicans, cormorants and storks. 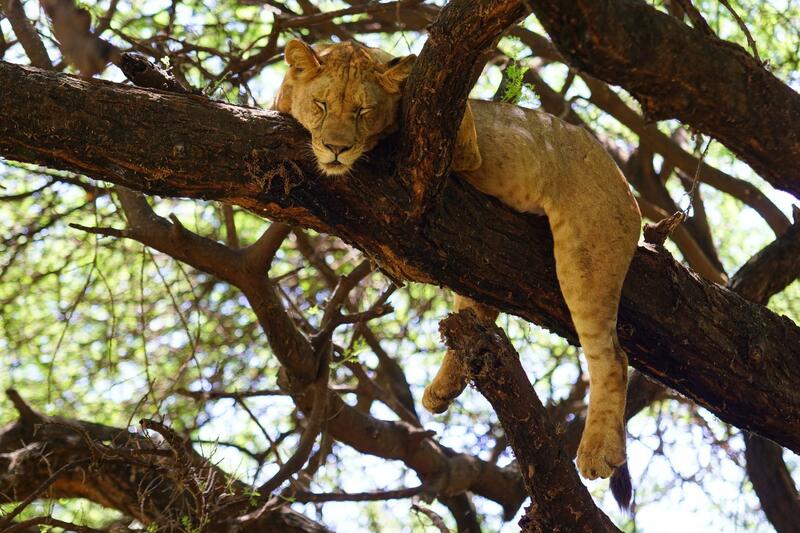 We will camp overnight in Manyara, then head for Serengeti the next day, spending 3 days exploring Serengeti. 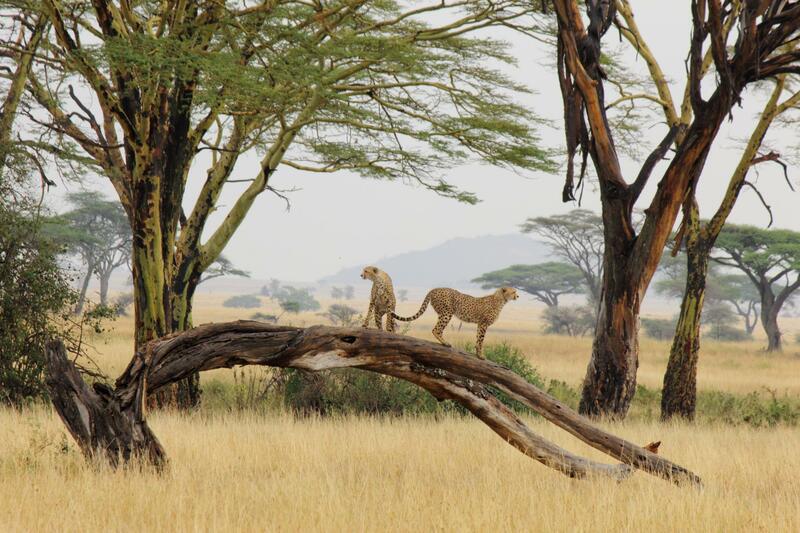 The Serengeti National Park is one of the largest wildlife sanctuaries in the world and of Tanzania. 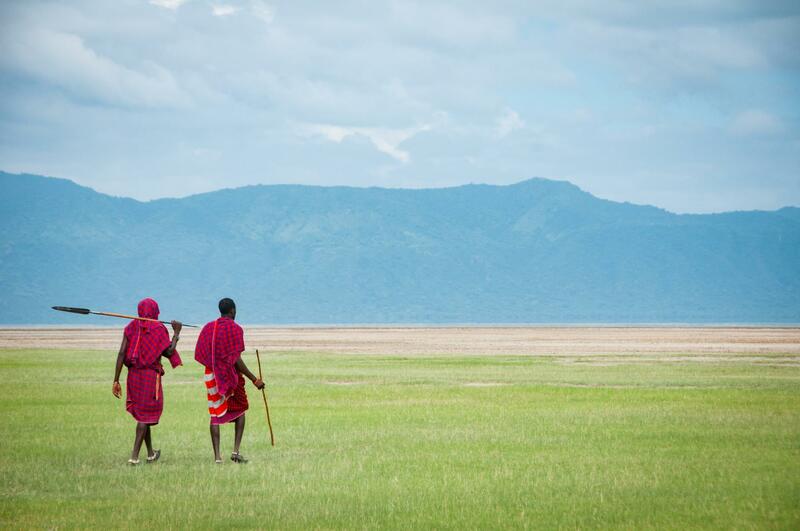 The origin of its name comes from the word “Siringet” in Maasai language which means “never ending plain”. It is famous for its annual migration of over 1.5 million white-bearded wildebeest and 250,000 zebra and for its numerous Nile crocodile and honey badger. 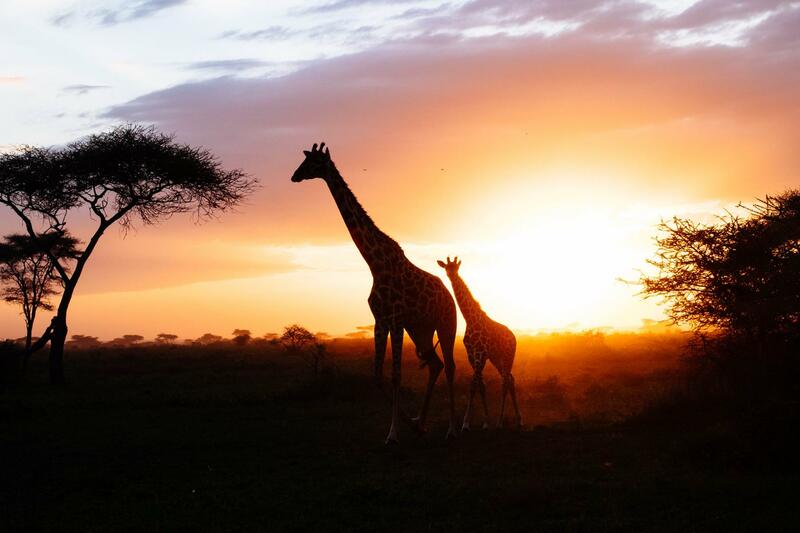 Herds of buffalo, smaller groups of elephant and giraffe, and many other hooved animals such as eland, topi, kongoni, impala and Grant's gazelle are residents all year round. All three big cats are easily seen, lions are everywhere, cheetah are very common on the southeastern plains, while leopard can typically be found lazing in one of the big trees along the Seronera River. 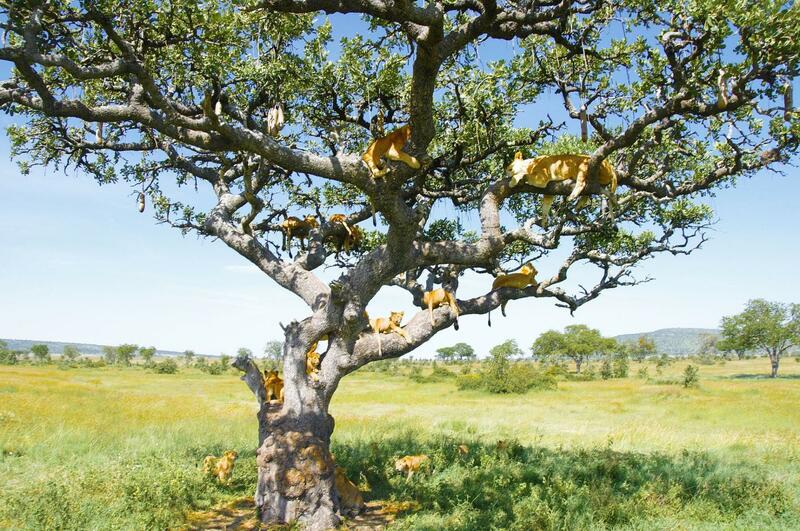 It is uncertain why do the lions climb trees, it is believe that lions choose to climb trees to get a better view, while others believe it is so that they can catch a bit of a cool breeze on a hot day or get away from flies and other nasties that may bite them at ground level, or even just for fun! We hope we can catch a glimpse of this rare behaviour. After spending 2.5 days in Serengeti, we will move to Ngorongoro crater. 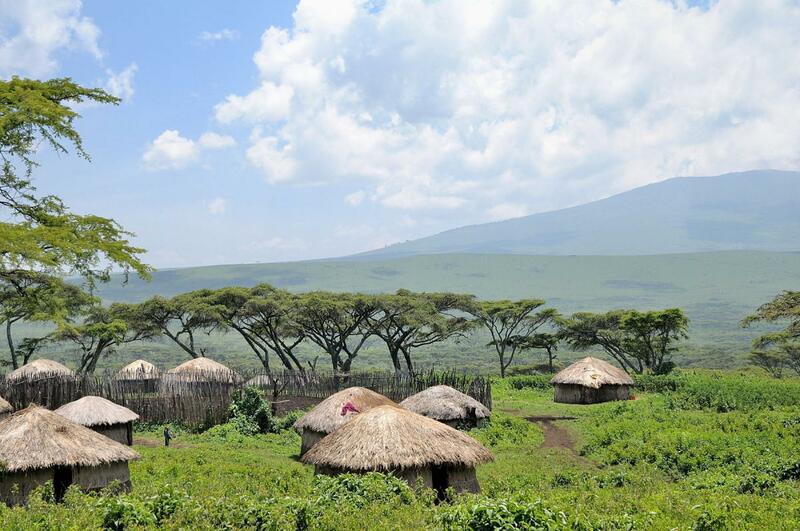 The crater was formed three million years ago, a massive supervolcano in what we now call Northern Tanzania exploded. The mountains were higher and mightier than nearby Mount Kilimanjaro. Its slopes were so vast they directed their own weather patterns and water flow. All was well until one day the mountain exploded and it fell down. The volcano erupted with a blast that it caved in on itself, that created a caldera spanning a hundred square kilometres, 20 km wide and 600m deep. What was once a glory is gone but the glory returned. Over the course of a few million years pockets of fresh water was formed, then lush vegetation developed, and then the wildlife arrived too. Abundant water and grasses attracted ungulates, large predators, and countless bird species. Because of its enclosed topography, animals would descend into this bowl-shaped place and never leave. This was where the party happens. We will camp overnight at the caldera rim and admire the crater from the rim. 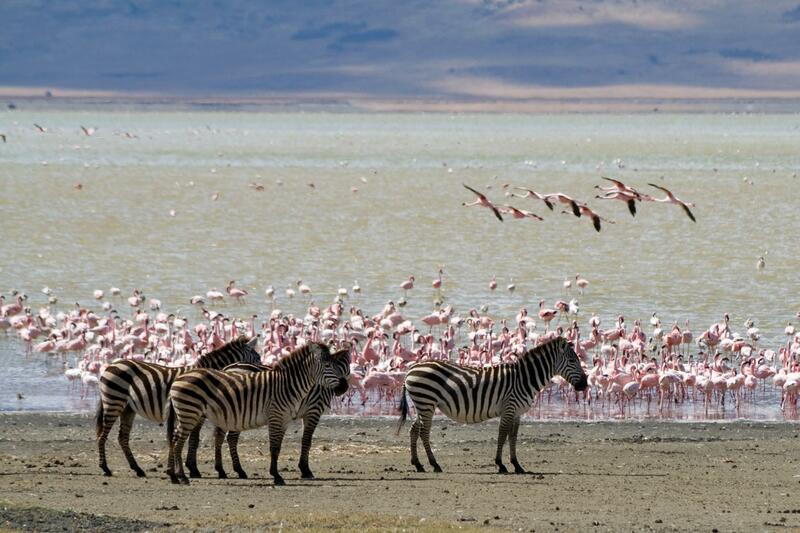 The next day we will descend the Ngorongoro crater known as the 8th wonder of the world and get up close with the animals. 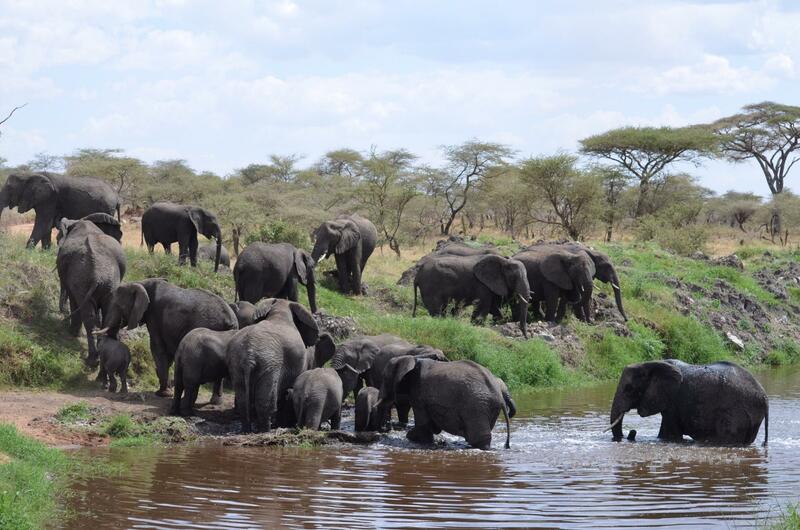 We will head to Tarangire National Park, third largest national park in Tanzania, famous for its unusual large elephant population, elephants migration and birding. 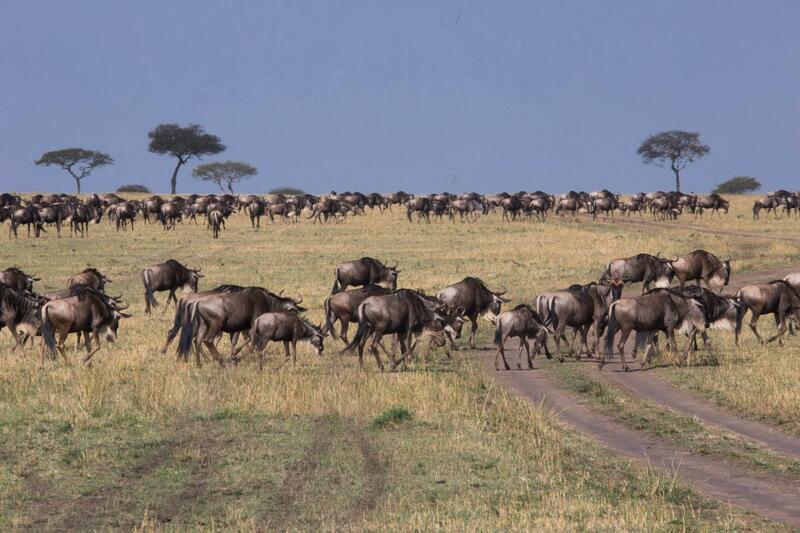 The Tarangire Ecosystem is part of the long-distance migration of wildebeest and zebras. 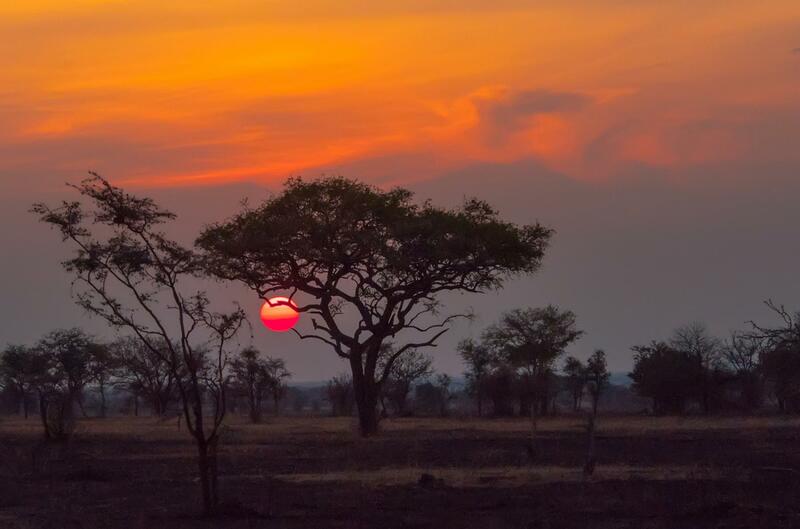 We will camp overnight in Tarangire National Park. We will end our trip the next day and leave for Nairobi Airport.